The application of metabolomics to human and animal model systems is poised to provide great insight into our understanding of disease etiology and the metabolic changes that are associated with these conditions. However, metabolomic studies have also revealed that there is significant, inherent biological variation in human samples and even in samples from animal model systems where the animals are housed under carefully controlled conditions. This inherent biological variability is an important consideration for all metabolomics analyses. 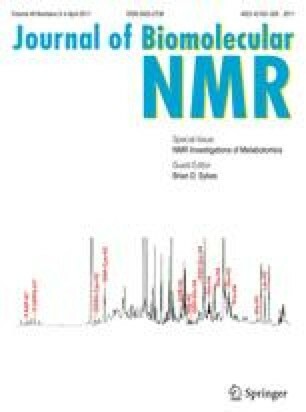 In this study, we examined the biological variation in 1H NMR-based metabolic profiling of two model systems, the yeast Saccharomyces cerevisiae and the nematode Caenorhabditis elegans. Using relative standard deviations (RSD) as a measure of variability, our results reveal that both model systems have significant amounts of biological variation. The C. elegans metabolome possesses greater metabolic variance with average RSD values of 29 and 39%, depending on the food source that was used. The S. cerevisiae exometabolome RSD values ranged from 8% to 12% for the four strains examined. We also determined whether biological variation occurs between pairs of phenotypically identical yeast strains. Multivariate statistical analysis allowed us to discriminate between pair members based on their metabolic phenotypes. Our results highlight the variability of the metabolome that exists even for less complex model systems cultured under defined conditions. We also highlight the efficacy of metabolic profiling for defining these subtle metabolic alterations. Samuel S. W. Szeto and Stacey N. Reinke have equally contributed to this work. We thank Dr. Brian D. Sykes for the usage of the 600 MHz spectrometer. S.N.R. was supported by an AHFMR Studentship. This work is supported by Canadian Institutes of Health Research Grants MT-15336 and MT-15290 to BDL.